Minister English welcomes €2 million Young Entrepreneur Investment Fund – DAMIEN ENGLISH T.D. 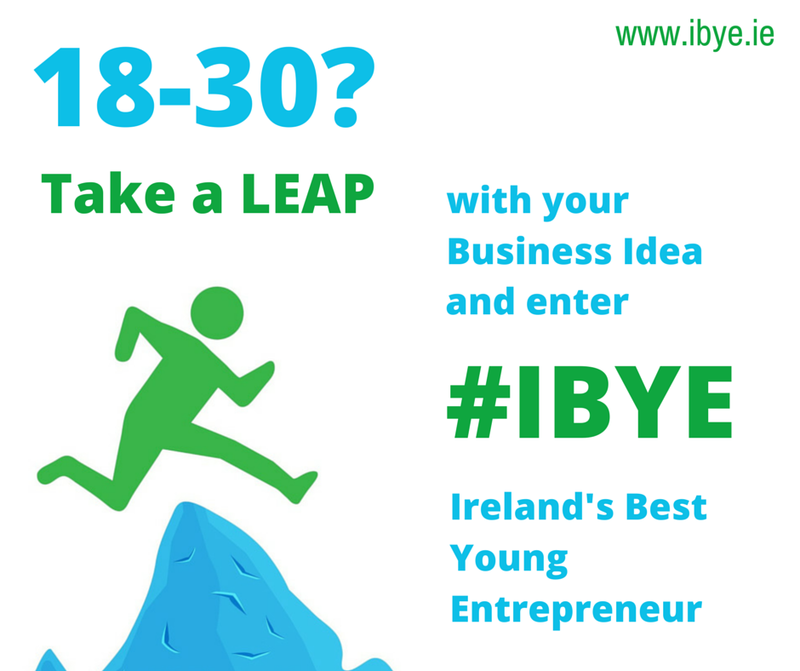 A nationwide search has begun to find Ireland’s Best Young Entrepreneur (IBYE), with a total investment fund of €2million available for young people throughout every county in Ireland. Aimed at those aged between 18 and 30, the competition is an integral part of the Action Plan for Jobs and is supported by Minister English’s Department of Jobs, Enterprise and Innovation through Enterprise Ireland and the Local Enterprise Offices. The first stage is a county-based competition, with a closing date of July 31st through the Local Enterprise Offices, leading to the naming of the Best Young Entrepreneur in each county. This will be followed by eight regional finals, with one young business-person being crowned Ireland’s Best Young Entrepreneur later in the year at the national finals in Google’s European HQ in Dublin before the end of the year. Up to €50,000 will be awarded to 3 winners in each county. The winners at national level can then receive up to an additional €50,000 and over 400 young entrepreneurs will also win places at regional Business Bootcamps with mentoring supports, to further develop their business skills. We need to create a stronger culture of entrepreneurship in Irish society, especially amongst our young people. Two thirds of all new jobs are created by start-ups, so if we are to create the jobs we need we must support more entrepreneurs to start new businesses. More younger people need to see this a viable and sustainable job option. That is why we have placed start-ups right at the centre of our Action Plan for Jobs, and put in place new measures like establishing a new system of easily-accessible supports through the Local Enterprise Offices.